!! Sony has so far not specified an exact release date !! 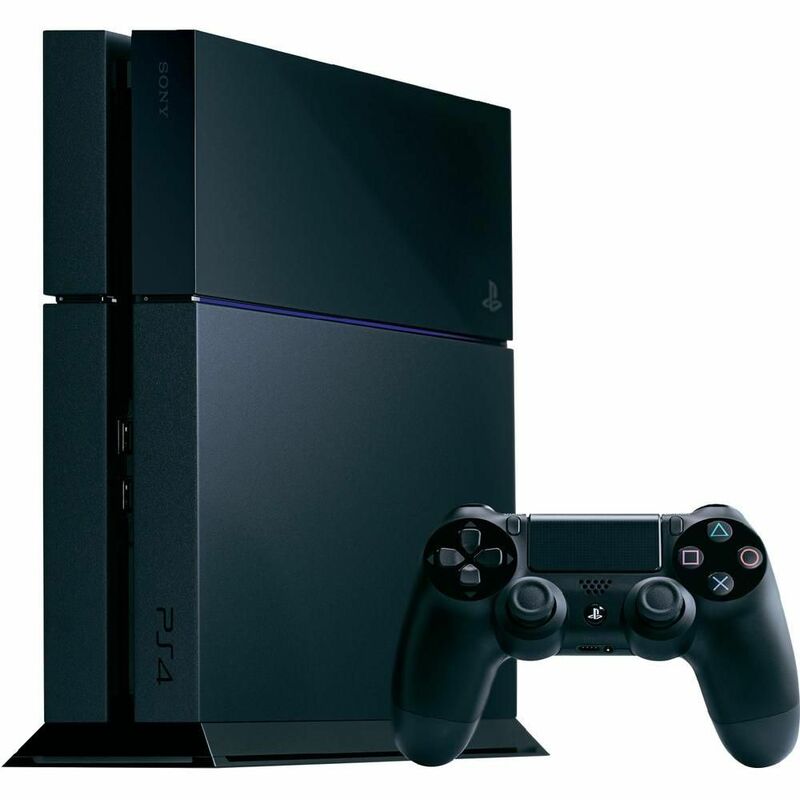 PlayStation®4, the next generation of Sony’s entertainment system, takes the world of gaming to the next level. Powerful graphics, high speed processing, smart adaptations, system-integrated social tools and a whole range of other innovative features redefine the 21st century gaming experience. Aimed at Gamers. Inspired by Imagination. access to other game consoles, to mobile devices, and to the PlayStation® network. The next-gen PS4 has been developed employing the following five principles for user experience and future game design: simple, direct, social, integrated, personalised. Inspired by gamer requirements and the imagination of Sony’s developers, PS4 has one single objective: providing the ultimate gaming experience. 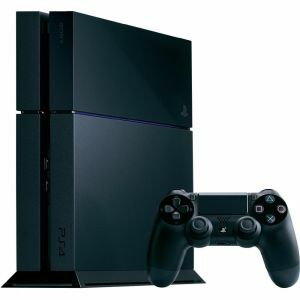 The PS4 system architecture enables gamers to tap into an unprecedented world of experience by simplifying the access to anything and everything. Incorporating elements of Gaikai’s cloud gaming platform will offer a plethora of innovations when it comes to discovery, access, sharing content and game experiences. Players can access games, demo clips and many other types of content via the PlayStation network without the need to download. Browse the store and try out games straight away. The ultimate goal is to compile a vast and exhaustive cloud-based library of PlayStation 3 titles, most of which are also supposed to run on PS4. Designed with input from the developer community, the DualShock®4 Controller sports several new features enabling gaming in a whole new way. The “Share” button allows players to instantly stream in-game action to friends in real time via Ustream etc. Other gamers can watch, comment, and even take over control if the original player gets stuck. The “Share button” also enables picture and video uploads to Facebook. The Dual Shock®4 has been developed in conjunction with an additional peripheral device, a camera capable of using the controller light bars to calculate the precise position of individual controllers within a 3D environment. The camera is sold separately, contains four microphones for sophisticated sound recognition and tracking, and has been designed as an integral part of the PlayStation move motion control. controller-based input. Additionally, the next-gen Dual Shock comes with an built-in mono speaker and a headset jack, to do sound effects and game soundtrack justice. PlayStation®4 will include a headset for game sound and online chatting via controller. PS4 integrates second screens, such as PS Vita, Smartphones and tablets, enabling gamers to take their fav content with them wherever they go. Sony’s long term objective is to use WLAN to allow gamers to remote play PS4 via PS Vita, making PS Vita the ultimate PS4 accessory. There is also a new app called “PlayStationApp”, integrating iOS and Android smartphones and tablets into PS4. Installing the app on mobile devices enables e.g. players of adventure games to use the mobile device screen to view maps or other game-related information, or remote watch friends play. This app also allows the purchase of games on a mobile device when out and about, with the game being downloaded to the PS4 console at home. content, featuring a “suspend mode” capable of switching on power save within an ongoing game. Also, no more waiting between booting up the console and uploading a saved game. Pressing the on/off button is all that’s needed to instantly resume play at the point where the game was previously left off. During play, PS4 allows access to other apps, such as web browsers. Even when in stand-by mode, downloading or updating games in the background is still possible. When a game is purchased, PS4 operates using the “play while download” approach, to make sure gamers can start playing instantly, with the remaining chunk of content being downloaded in the background. co-op gaming and cross game chatting to initiate, maintain and deepen contacts with friends and community. The newly designed PS4 menu screen allows players to view game-related information shared by friends, to watch friends playing, and to access games, TV shows and movies recommended by friends. One of the PS4 long-term objectives is to zero the download time of digital content by proactively meeting the requirements of gamers. Display: 4 Games per remote. Continue playing your PS4 games on the Vita. Wherever you are. HDMI is a registered trademark of the HDMI Licensing L.L.C.